In small gestures, we hide behind composure in lieu of communicating what we really mean. One often hopes there to be just an understanding of our internal monologue because often we find articulating authenticity is sometimes too difficult. That monologue is coded in desperate correspondence. 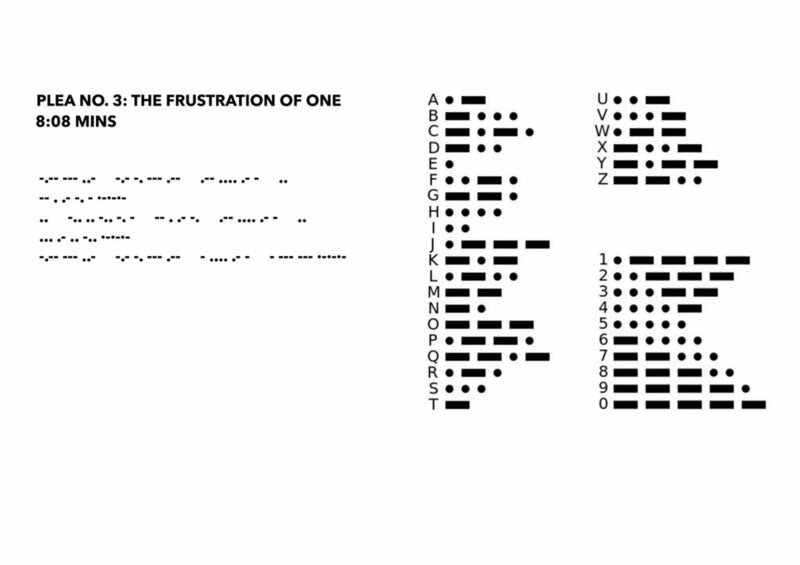 Using morse code as a representation of how distant an internal and finite communication is, the scenario either creates a deeply felt connection with others but more likely, a self-imposed alienation, caused by longing. Overall, the understanding of what is said in these pieces is an exercise of social politics. There is a question of how much the viewer will engage in what is being revealed by the subject.